often appearing blue or dark purple. by presenting various conditions & their recommended prevention & treatment options. 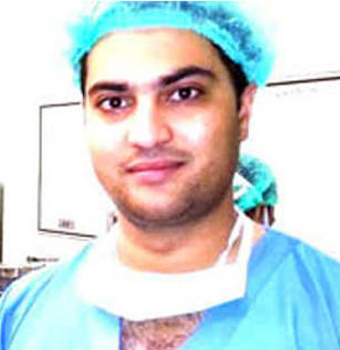 Dr. Jan graduated with honors from Jammu University in 2003. He procured his master’s degree in 2009 from the prestigious National Board of Education. Following this, the Royal College of Surgeons, Edinburgh recognized his talent in the field of surgery, with interest in vascular surgery and bestowed the coveted F.R.C.S. fellowship. He has been the privileged recipient of the Clement-Price Award for outstanding performance in the field of surgery at Edinburgh, U.K. He’s been a part of various vascular surgical conferences and workshops at the National & International level. He was awarded with the “Best poster presentation” for ‘Role of Adjuvant Sclerosant Therapy with Radio Frequency Ablation for the Management of Varicose Veins: An evidence based analysis’, at the ESVS meet in Prague. This website – varicose and more has been dedicated to the service of the mankind for spreading awareness about various vascular conditions affecting humans. Some of these conditions are insidious in onset but curable while others are not. We hereby present various conditions and their recommended prevention and treatment options alike. 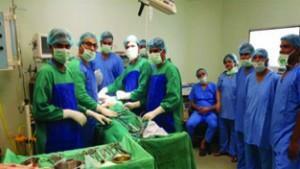 Rare Surgery Performed At ESIC Model Hospital. 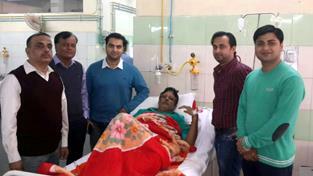 203 Stones Found In Woman’s Gall Bladder, Successfully Removed. Copyright 2018 Varicose and More. All Rights Reserved. Powered by Ideogram Technology Solutions Pvt. Ltd.